So said Martin Tyler at the end of the Gunners’ fourth visit to Wembley in 1993. The Arsenal Musuem. Credit : Arsenal Football Club / David Price. In 1993 Arsenal achieved something unique at the time – a domestic cup double – winning the FA Cup and League Cup (or Coca-Cola Cup as it was officially called), and in both games the defeated team was Sheffield Wednesday. 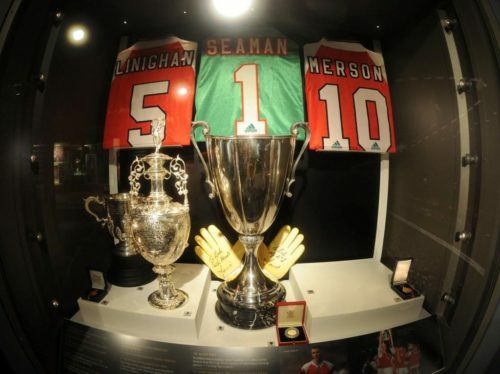 Sitting within the museum in a section celebrating the early 1990s, are three medals from an unsung hero of the 1992-93 season: Andy Linighan. Up until the middle of that season, since being purchased from Norwich by George Graham in the summer of 1990, he had been a squad player covering for Steve Bould and Tony Adams. But an injury to Bould meant that Andy was thrown into the team partnering Adams. He didn’t look back and played a full part in both the campaigns to get to Wembley. 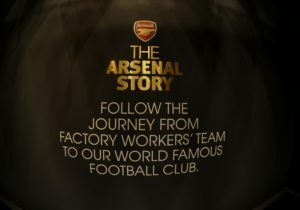 The first triumph was in the Coca-Cola Cup as the Gunners won 2-1 on a sunny Wembley afternoon in April. However, this final is generally remembered for how Steve Morrow was injured after the match rather than the game itself. 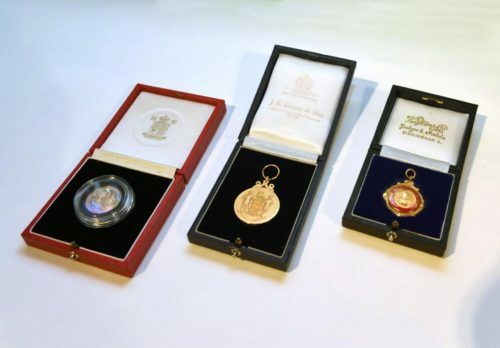 The ornate medal Andy won is gold with a clasp; it has the League Cup in the middle, while the red ring, denoting the colours of the sponsors with the golden words ‘the Coca-Cola Cup’, is embossed on the top. Andy Linighans 1993 medals. FA Cup, Coca Cola Cup (League) & extra medal for the cup double. Arsenal Museum, Credit : Arsenal Football Club / David Price. At least he was able to pick up his medal, as Morrow was in such pain from his fall at the hands of Adams that he could not collect his medal on the day of the victory. A still injured Morrow had to wait until before the FA Cup final to be presented with his League Cup medal. In the FA Cup final an Ian Wright header from a set-piece was cancelled out by David Hirst in the first game, the replay too was level going into the last minutes. At the end of the replay just as the tie looked like it would go into a penalty shoot out for what would have been the first time ever, Linighan wrote himself into Arsenal folklore when he rose to convert Paul Merson’s corner with a bullet header. The FA Cup medal is quite modest just being a gold round medal with a clasp, but the imagery is simplistic, yet impressive. Two Victorian players, representing each team stand aside a large shield of the three lions, the symbol of England. One of the players holds the ball on top of the shield to show that one team can win. On both occasions that team was Arsenal. Owing to the uniqueness of the achievement, Arsenal struck commemorative medals, and the third medal in the Linighan collection is this club medal. 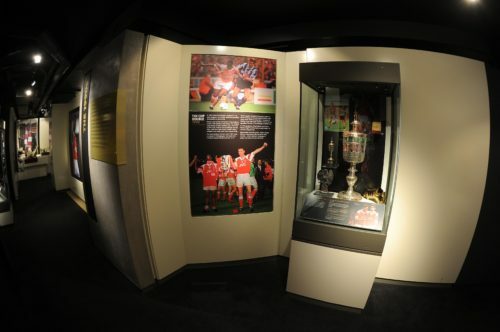 It has the words “The Cup Double – FA Cup – Coca-Cola Cup – 1993” around the edge, while images of the two trophies adorn the front. On the reverse is a wonderful image of the old Arsenal crest with the ‘Victoria Concordia Crescit’ Latin motto. The season past we were asked to write a regular page in the official Arsenal programme based on a historical object found within the excellent Arsenal Museum. Programme editor Andy Exley has kindly given us permission to reproduce these programme articles on our blog. We will also be including additional material that didn’t make the final edit of the Programme. Credit : Arsenal Football Club / David Price.